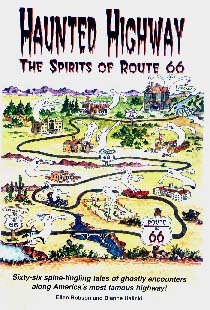 A guide to sixty-six spine-tingling tales of haunted homes, businesses and graveyards along America's ""Mother Road."" From the Biograph Theater in Chicago to the Pointe Vincente Lighthouse on the Pacific Coast, these fascinating accounts of ghostly activities will provide you with hours of reading enjoyment. By Ellen Robson and Dianne Halicki.